The city of Troy wants to plan for the future of 1 Monument Square. Again. The site back in 2016. Mayor Patrick Madden said, "The design charrette process offers a fresh start for the redevelopment of Monument Square. With assistance and input from our community, we can create a collective vision for the site that respects Troy's unique and historic character while enhancing our city's valuable assets and expanding access to our unique waterfront location." A charrette is an intensive planning and design session where residents, business owners, designers and other stakeholders collaborate on a vision for development. A design charrette provides a forum for ideas which offers a unique opportunity to give designers immediate feedback while creating mutual authorship among participants in the plan. The City is not advancing any predetermined concepts with the exception of a 50-foot deep esplanade along the Hudson River and connection from the esplanade to River Street. The selected team will lead a three-day charrette open to all members of the community to create a public consensus for the site's use and anticipated redevelopment - including construction details for the southward expansion of Riverfront Park and its connection to the business district on River Street. Developers interested in the redevelopment of the site are encouraged to attend. 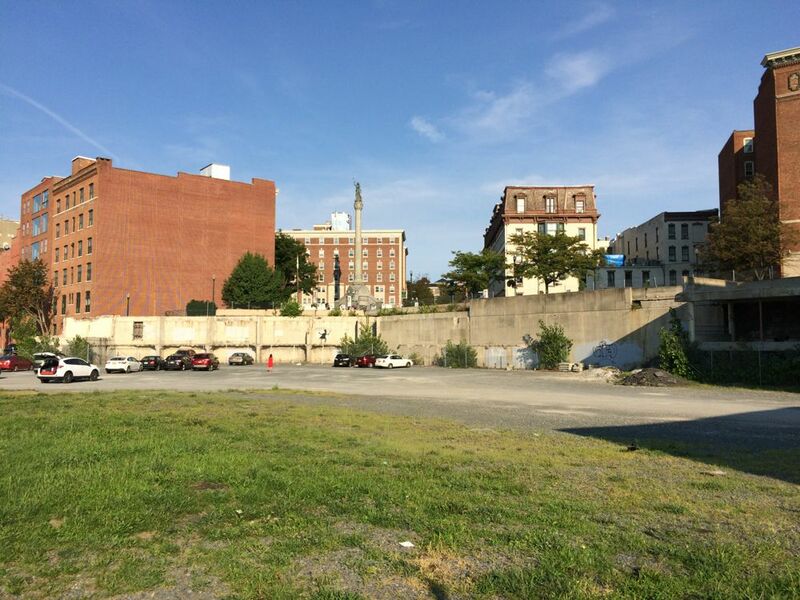 There have been four major attempts to redevelop the site in downtown Troy -- one of the most high-profile pieces of real estate in the entire Capital Region -- since the demolition of the old city hall in 2011. Two of those attempts have ended in situations involving the threat of legal action. That includes the proposal to build a Bow Tie movie theater there, which stalled out last October. It's worth noting that the city already held an event similar to this design charrette back in 2016 under the current administration. + Is it possible right now to pull together some sort of bulletproof public consensus early on that's not vulnerable to a prominent stakeholder becoming irked and essentially vetoing the project? + Because of the history, what sorts of developers are willing to take on the project? + And are there maybe completely different ways of going about developing this site that haven't been tried already? We all know this will inevitably end up as a parking garage. This will likely be the centerpiece of Troy's effort to win the Downtown Revitalization Initiative. A developer led plan may not be needed at all and the project can be spearheaded by the public, satisfying many in the community. The site and the City certainly meet the criteria. As mentioned above, this statement is also included: "The City is not advancing any predetermined concepts with the exception of a 50-foot deep esplanade along the Hudson River and connection from the esplanade to River Street." The lack of this assurance is what's caused much of the disdain for plans in the past. What about a movie theater? Seems like it would be a good fit with all of the restaurants, bars, and nearby colleges. RS: Bullseye! It's a no brainer. Give the bars and restaurants downtown an economic boost by bringing in an entertainment element that has been nonexistent in the city of Troy for decades. Parking is ample with the Uncle Sam garage and State Street garage close by. Fill in that concrete void with something nice architecturally, and have people understand that it does not have to match the surrounds exactly (and that movie theaters tend not to have a multitude of windows). You are a genius! RS in 2020!! Faneuil Hall is Boston"s permanent Farmer's Market. Why not use that model here inTroy, it is a walking city.